NWMC is dedicated to preserving Persian culture, music and instruments by fostering musical education for Iranian-American children, youth and the general American public. NWMC introduces Persian music and culture to the younger generation growing up in the Bay Area. NWMC believes that teaching the beauty of Persian music creates a greater understanding and unity between Iranian and American cultures and strengthens the cultural integrity of the younger generation of Iranian Americans. This year Nejad World Music Center Youth Orchestra, the only one of its kind, presented traditional music as featured performers at the Asian Art Museum and The San Francisco World Music Festival. The center also serves as a gathering point for the community and guest artists from abroad. 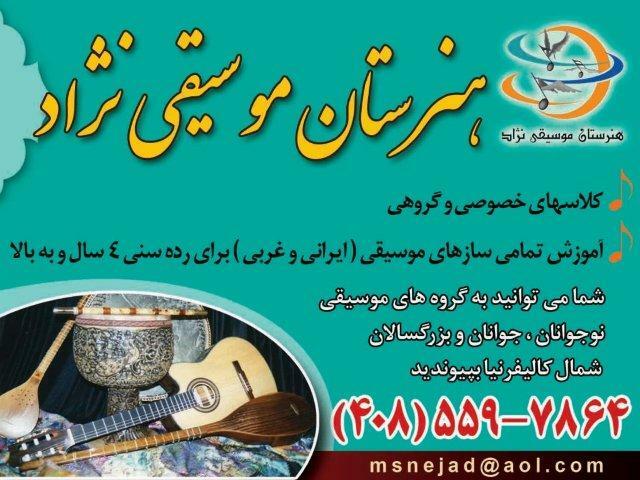 Nejad World Music Center | | Copyright©2007 All rights reserved.